Currently in private practice, Dr. Havranek serves as an assistant professor at the University of Texas Health Science Center in San Antonio. He also completed his residency in internal medicine, an assistant professorship in the liver transplant program and a fellowship in gastroenterology at the Health Science Center. A native of Nebraska, Dr. Havranek completed his undergraduate studies as well as medical school at the University of Nebraska. He is certified by the American Board of Internal Medicine and Gastroenterology. He is a member of both the American Gastroenterological Society and the American Society for Gastrointestinal Enbdoscopy. Dr Havranek has a special interest in diseases of the esophagus, stomach and colon and dedicates a lot of his practice to colon cancer prevention and detection through colonoscopy. 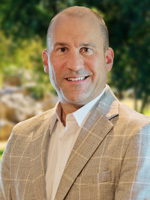 He has been voted as one of the “Top Doc’s” in San Antonio by his peers as published in Scene in SA Monthly, voted one of the “Super Doc’s of Texas”, and is listed by Consumer’s Research Council of America as one of the country’s best gastroenterologists.